Home Automatic or Manual, Which is Better? A car using automatic transmission changes gears for you, giving you less work to do whilst driving, whereas a car with manual transmission enables you to change gears at a time you feel is appropriate by use of the clutch pedal and gear shift. Depending on which country you live in, each have their good and bad points on safety, availability, drivability and expense. Let’s take a look at these good and bad points based on you deciding whether to purchase an automatic or manual transmission car in the United Kingdom. Driving a car with automatic transmission is certainly easier. Driving around busy towns and cities requires constant gear changing as you frequently stop at traffic lights and junctions. Depressing the clutch and perfecting clutch control in manual transmission can be challenging and tiresome for some – all of which is not an issue with automatic cars. 2. I need to take my driving test. What’s the quickest and easiest option? Learner drivers inevitably find synchronizing the clutch with the gears a challenge. You have probably seen many learner drivers stall a car due to bad clutch control. Many learner drivers opt for an automatic for its simplicity. The preferred method in many countries. Very easy to drive, simply put it in D or drive, press the gas pedal and off you go. Much easier when driving around cities as no constant gear changing. As an automatic is easier and faster to learn, less money is likely to be spent on driving lessons as lesson driving lessons are required. Automatic driving lessons are typically a slightly higher price than manual however. Even some experienced drivers who have taken and passed the driving test never seem to get to grips with a manual cars clutch and may on many occasions stall the car when moving off. Again, this is a problem not found in automatics. Automatic cars are safer. As there is no need to change gear, both hands can be kept on the steering wheel. 1. How much will one cost? Manual transmission cars are cheaper than the automatic equivalent. An automatic transmission is more complicated than a manual transmission to develop and build and in the UK there are less of them manufactured, therefor automatics costs more to make and ultimately cost more to purchase to the consumer. 2. I have an automatic driving licence, what’s my options? If you are licensed to drive a manual car in the UK, you are also permitted to drive an automatic vehicle on public roads. If you are licensed for an automatic car, then you are not permitted to drive a manual on public roads. If you wanted to drive a manual, you will need to re-sit the UK driving test for manual transmission cars. 3. What if my car breaks down? If you drive an automatic, but are licensed to drive manual and your car breaks down, your repair garage may provide you with a courtesy car. The garage is highly likely to provide you with a manual transmission courtesy car although an automatic would be unlikely. 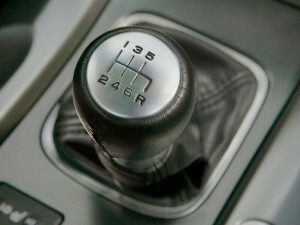 By far the most popular choice of car transmission in the UK, though automatics are gaining in popularity. Many find a manual transmission provide more control and in many cases, better fuel economy. The advantages of a manual licence means if a courtesy car is essential, the need for finding a garage that can provide a an automatic is not essential. Being restricted to an automatic licence may require renting an automatic car which will be costly and again, pose problems in finding a company that provides automatics. An automatic transmission is much more complicated than a manual. As it is more complicated, a like for like model is more likely to malfunction with an automatic gearbox. Any problems with a manual transmission are likely to cost far less than its automatic counterpart. Although automatic transmissions are significantly more advanced than they once were, an automatic is likely to need servicing more frequently than manual. If you like more control and speed out of your engine, manual transmission may be the way to go. Some automatic vehicles can be slow and cumbersome at their choice of gear change and speed. However, with modern advancements, we now see more automatics fitted with dual clutch technology. This system allows for traditional fully automatic mode but has a manual override that allows the driver to change gear using their fingers to operate paddles located on the steering column. These systems tend to come fitted to premium vehicle models and offer faster gear changing than the manual equivalent. Manuals do offer a distinct advantage over automatics when driving in snow and ice. Engine brake is an important factor when driving on a slippery surface such as snow and ice. Using the foot brake as little as possible is essential in reducing the risk of a skid when slowing down or stopping. As manual transmission vehicles allow you full control over gears and speed by using clutch control, engine braking can be mastered, giving you maximum control in such dangerous conditions. However, as technology improves, Electronic Stability Control helps automatics to gain traction in slippery conditions. See how to drive in snow for further information. 6. Manumatic refers to an automatic gearbox which also offers manual gears for better control. These types of automatic transmission offer a great deal of control over the car and its speed. Although you have a certain amount of control over the automatic gearbox, there is not nearly as much control as a manual. Older automatics were heavier than their manual equivalent, often producing 1 to 3 MPG less. As technology has advanced, modern automatics are now much lighter and when driven in fully automatic mode, will tend to use gears more efficiently and economically than a typical driver can in a manual transmission. Economy wise, it depends on which vehicle you opt for – older vehicles generally will see the manual version more economical, but the opposite is the case for modern vehicles. Any car that does not have a manual clutch is classed as an automatic transmission. If you passed your driving test in an automatic car, your driving licence will entitle you to drive automatic transmission vehicles only. To convert your automatic driving licence to a manual licence, you will need to re-take the UK driving test in a manual transmission car. If you like complete control of the car and better fuel economy (with older vehicles), manual transmission is the way to go. A manual licence in the UK will allow you to drive both manual transmission and automatic transmission cars. However, if the thought of driving and constantly changing gear doesn’t fill you with joy, an automatic is by far the easiest option and may offer slightly better fuel economy on modern vehicles. Is My Licence Manual or Automatic? You are licensed to drive the transmission of the vehicle that you passed the driving test with, though if you passed in a manual, you may also drive automatics. If your licence has code ’78’ on the back, you are restricted to vehicles with automatic transmission only. If you currently are licensed to drive automatics and wish to exchange your driving licence to a manual, visit the Foreign drivers section for information on Automatic licence to manual.